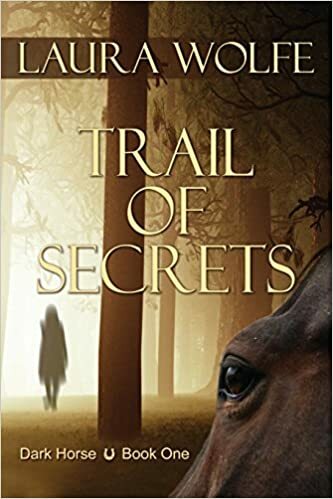 There are many scary ghost stories that get told around the campfire during summer camps but that was not what teenager Brynlei thought she would be concerned about when she was invited to attend the elite riding academy called Foxwoode for three weeks. For years Brynlei had wanted to attend Foxwoode but she had decided that there was no way her family could afford to send her to the posh riding school. But this year would be different because she was in fact going to attend the exquisite riding camp. Weeks before leaving for camp, Brynlei memorized every bit of information in the brochure and dreamed about what her horse would be like and the lessons she would learn. When Brynlei finally arrives at Foxwoode she hears the story of a girl named Caroline Watson who came to this very camp four years ago but never left. Apparently she went on a trail ride that was unmarked and she was never seen again. Several searches were conducted to find the missing fifteen-year-old but the only evidence that was ever recovered was Caroline’s boots found in the river and some spots of blood with hair found on the rocks near the water. This led police to believe that Caroline had fallen from her horse, was hit in the head and then drown in the river although nothing was ever found of the body. After the alleged accident, people started reporting a ghost-like figure of a girl lurking in the woods outside of Foxwoode and now Brynlei cannot shake the feeling that someone is watching her. Could it be Caroline coming back to haunt the riders of Foxwoode? As if wanting to solve a mystery was not enough, Brynlei is also put in a cabin with a snotty self-centered girl named Alyssa who seems to enjoy making fun of everyone else in the room. Of course Alyssa brings her own well trained horse and is the former Top Rider award winner that is awarded each year. Brynlei is determined to work twice as hard to give Alyssa a run for her money as maybe this will be the year Alyssa is knocked out of the Top Rider running. With the very first page I found myself holding my breath as author Laura Wolfe started with an expert from the end of the book describing the main character being chased by something or someone that the reader has no idea about. With such an intense introduction I could not help but dive into this story as fast as I could turn the pages, wanting to find out exactly what put Brynlei in such turmoil. The rest of this book definitely did not disappoint me as I found myself holding my breath in countless places making it an exhilarating read. Laura Wolfe brought to life a thrilling mystery without being overly gory and I enjoyed that tremendously. Quill says: The first page brought with it a thrilling chill that did not leave until the exciting ending.